Early meeting of the Alternative Fund in 1986. 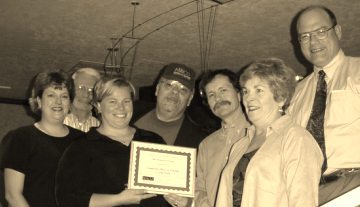 Receiving 2002 Momentum Award from NACG. Greg Truog, CSC Executive Director 1991-2004. Jesse Wolff, CEO 2004-2007 accepts a check from Kaiser. Lt. Governor Joe Garcia speaks at Community Shares' 25th anniversary Summer Celebration in 2011. 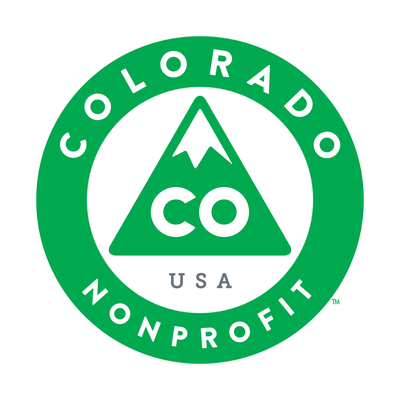 CSC was a founding member of Colorado Collaborative for Nonprofits in 2012. Alyssa Kopf (center) has served as CEO of Community Shares since 2007. Kaiser Permanente named a Giving Campaign of the Year at the 2015 Summer Celebration. After organizing in 1985, the Alternative Fund received nonprofit status in 1986. There were eight organizing nonprofits in the federation that varied in purpose and size. Founding members included Community Resource Center, Empowerment Program, KUVO, Association for Senior Citizens, Denver Urban Ministries, NARF, and Peace Net. Community Shares runs its first Community Giving Campaign in 1987 raising just under $4,000. 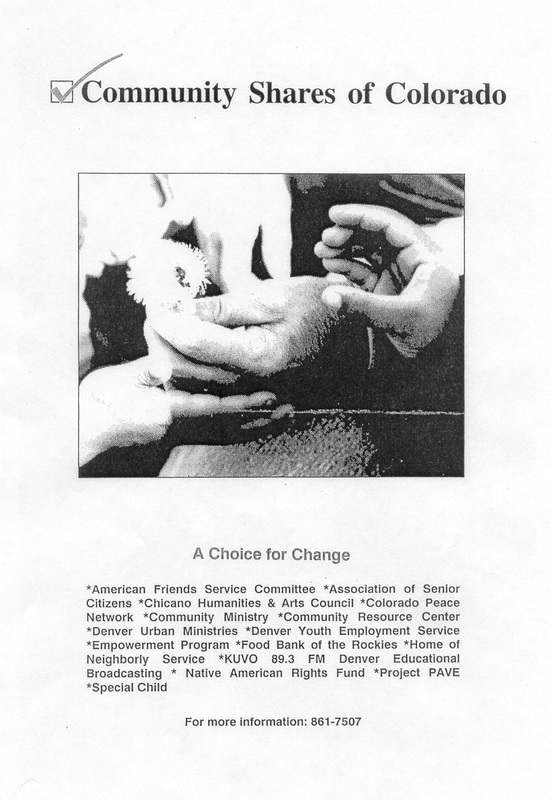 After several challenging formative years, Community Shares participated as a federation in the 1989 Combined Federal Campaign (CFC). Colorado Governor Richard Lamm and Denver Mayor Frederico Pena opened up the Colorado Combined Campaign (CCC) and Denver Employees Combined Campaign (DECC) to participation of federations in addition to United Way. Executive Director Greg Truog is hired who leads Community Shares from 1991-2003. 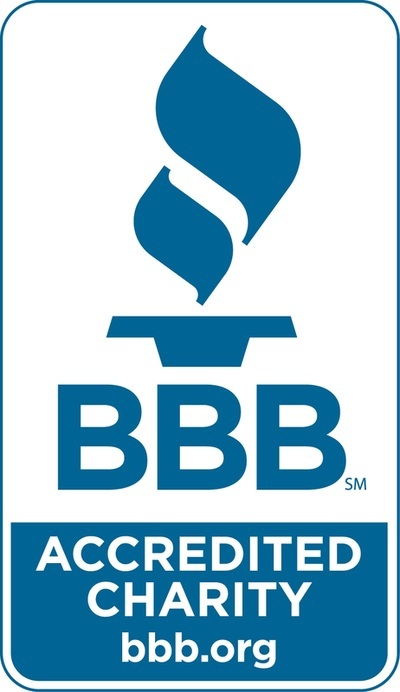 Each regional chapter is led by local nonprofit representatives who play an essential role in Community Shares' growth. Community Shares passes the $500,000 mark with 38 nonprofit members. 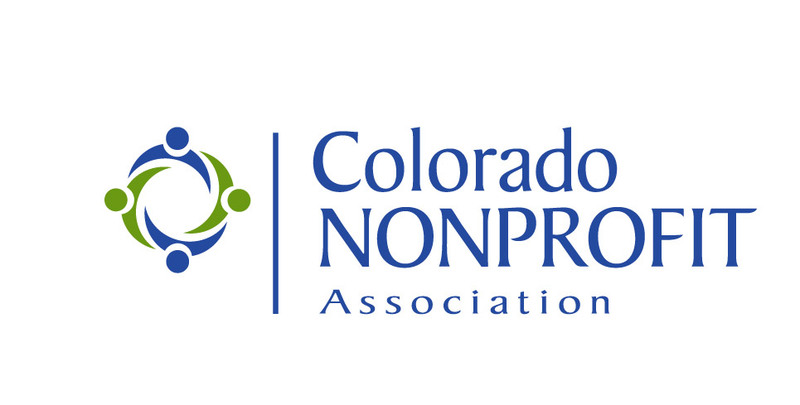 The National Alliance for Choice in Giving honors Community Shares of Colorado with the "Momentum Award" as the first community-based fund in the nation to pass the million dollar milestone. Community Shares becomes fiscal manager for DEEP, an emergency fund for City of Denver employees. 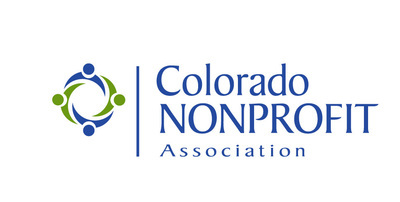 Community Shares works with Black United Fund of Colorado, Caring Connection, and Community Health Charities of Colorado to restructure Partnership for Colorado (PFC) to become more efficient and effective. At our 25th Anniversary Summer Celebration, Community Shares announced it had passed $20 million in total community giving. 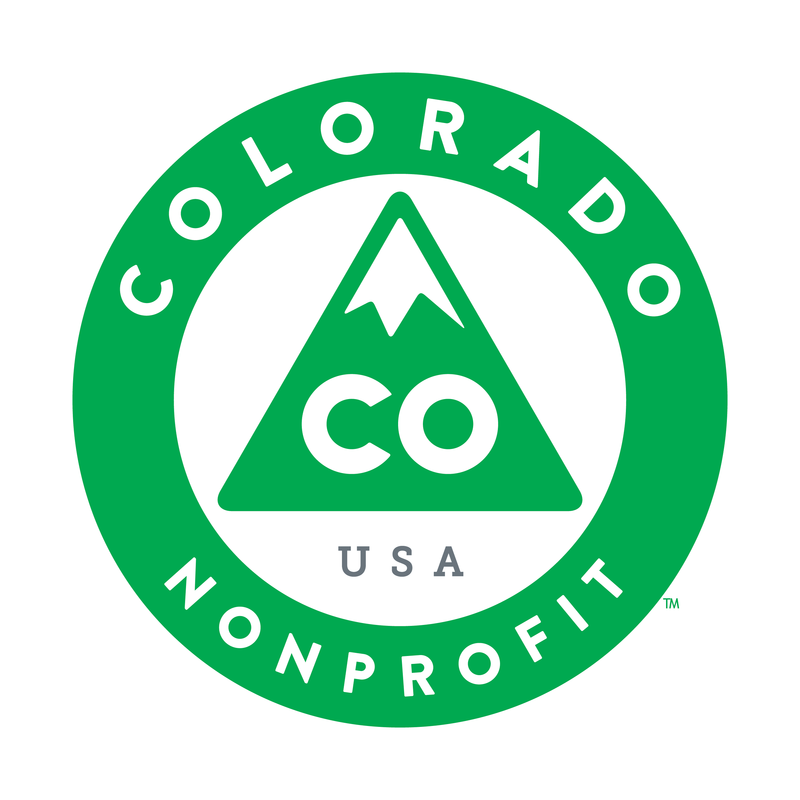 Community Shares is a founding member of Colorado Collaborative for Nonprofits along with Colorado Nonprofit Association, Colorado Nonprofit Development Center (CNDC), Community Resource Center (CRC), and Metro Volunteers. Community Shares is selected by the Colorado Combined Campaign Advisory Committee to manage the Colorado Combined Campaign (DECC) for the State of Colorado. This includes more than 50,000 employees donating more than $1MM annually. Community Shares is selected by the Denver Employees' Combined Campaign Advisory Committee to manage the Denver Employees' Combined Campaign (DECC) for the City and County of Denver.